OCL Blogs complement studies as they proceed, and highlight some of the topics explored by the Study Committee. Also check out the OCL Facebook page for more posts of interest on OCL study topics. What will replace the elevated portions of Interstate 81, which is nearing the end of its useful life? While transportation planners and engineers study the traffic, structural, and technical issues, the OCL study focused its attention on the social, cultural, and economic effects of possible alternatives. 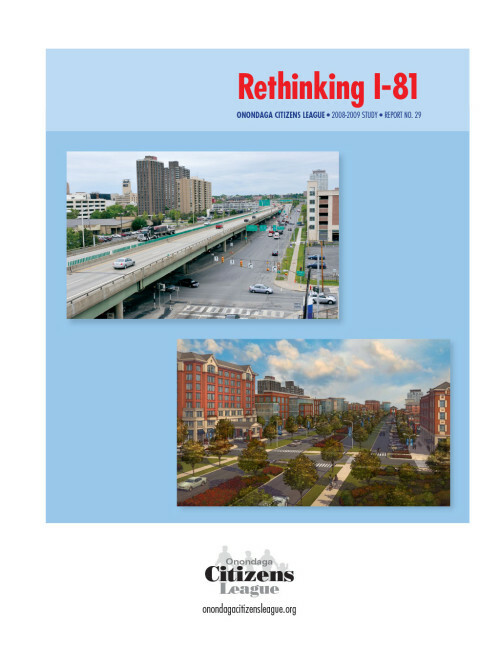 The study recommended that the reconfiguration of I-81 be considered as an opportunity to spur economic development, neighborhood and job growth, in the core of the region by rerouting through traffic and creating an attractive, pedestrian friendly urban boulevard to improve access to, and within, the city center. The study concluded that creating a sustainable community clearly requires a merging of minds around policies and actions based not on self interest, but rather on the collective good. 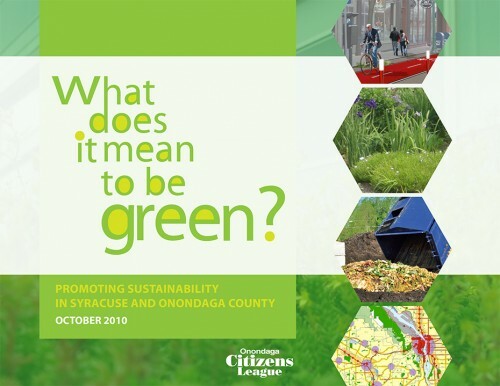 County, city, town, and village governments, public authorities, and school districts all must take steps to reverse the practices of the past 50 years and set a deliberative course toward creating a healthy, sustainable community. We do that by rethinking the way we design and maintain our urban centers and neighborhoods; where we locate our schools, libraries, town halls and parks; and how and where we build our roads, among other things.